LOS ANGELES – A former public official in Los Angeles County’s Real Estate Division, who was involved in awarding contracts to real estate developers and contractors, agreed to plead guilty to lying to FBI agents and filing a false tax return in an effort to cover up his receipt of illegal bribes. Thomas M. Shepos, 68, of Palmdale agreed to enter his plea at a future date to felony charges of making false statements in which he denied receiving bribes and kickbacks while working for the county and filing a false return for the year 2014 in which he failed to report $139,400 in income, including more than $100,000 in bribe payments, according to the U.S. Attorney’s Office. In his plea agreement, Shepos admits that he failed to report a total of $434,000 in income received over a seven-year period. As part of his plea deal, Shepos has agreed to cooperate with an ongoing federal investigation, according to prosecutors. 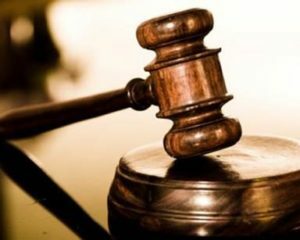 Shepos admitted accepting bribes from Arman Gabaee, a Beverly Hills real estate developer who was indicted in May on bribery and wire fraud charges in connection with his attempts to secure a $45 million county lease in the Hawthorne Mall, according to the U.S. Attorney’s Office. Beginning in 2010 or 2011, Gabaee began giving Shepos monthly bribe payments of $1,000 or more in exchange for Shepos providing Gabaee with non- public information and preferential treatment, according to the plea agreement, which was filed Wednesday. The agreement further states that Gabaee offered to buy a million- dollar property in Northern California as a bribe for Shepos. In exchange for the property, Gabaee sought Shepos’ assistance securing a lease for the county’s Department of Public Social Services in the Hawthorne Mall, which Gabaee owned and was redeveloping, prosecutors allege. Shepos also admitted in the plea agreement that he accepted bribes totaling $250,000 to $300,000 from an unnamed electrical contractor in exchange for his assistance securing five to seven county contracts ultimately awarded to the contractor. When interviewed by federal agents in November 2016, Shepos lied about the bribery schemes, falsely claiming that he had never received anything of value from anyone doing business with the county, according to federal prosecutors. The U.S. Attorney’s Office also contends Shepos lied about numerous unexplained deposits into his bank accounts, claiming that the funds were gambling proceeds, as opposed to bribes or kickbacks. Shepos will likely be ordered to appear for arraignment in downtown Los Angeles later this month. Once he enters guilty pleas to the two charges, Shepos will face up to eight years in prison, prosecutors said. Gabaee is currently scheduled to go on trial in February. Beginning in 2010 or 2011, Gabaee began giving Shepos monthly bribe payments of $1,000 or more in exchange for Shepos providing Gabaee with non-public information and preferential treatment, according to the plea agreement, which was filed Wednesday, Sept. 5. The agreement further states that Gabaee offered to buy a million-dollar property in Northern California as a bribe for Shepos. In exchange for the property, Gabaee sought Shepos’ assistance securing a lease for the county’s Department of Public Social Services in the Hawthorne Mall, which Gabaee owned and was redeveloping, prosecutors allege. 54 comments for "Former L.A. County public official agrees to plead guilty in bribery case"
Inquiring minds would like to know what storage facilities and what restaurants was Shepos involved in? if I remember something being said about the way Quartz Hill County library came to be and Shepos. Didn’t seem to be quite favorable at the time, but who knows? Not sure about that. He was involved in the Lancaster senior center though. That is in the September 2016 minutes. Who owned the property? Based on documents, Shepos was allegedly involved in the Quartzhill Library. If you took the time to read my very simple original comment about this article on September 6, then you would see that you are the one that expanded your comment to include, yes, those who you call the unholy trinity, and made it much more than what the article says. You are asking me to present facts to you when there are none coming from you, Tim, or myself. What you think, and the facts are two different areas, and quite honestly I don’t want to comprehend your mind set, I will accept facts, not opinions as the truth. You have no idea how many dirty dealings Shepos was involved with, or who he was involved with, and I don’t know either. I do know you and others constantly complain about most of the officials in Palmdale and Lancaster, and how corrupt they are, so it just might be likely the politicians in Palmdale have dealt with him also. Yes, you are a bully, but you are not alone in this dark world full of bullies. Alexis, Shepos has done transactions in Lancaster involving members of the unholy trinity, which is why I brought it up. What I have not been able to find are any dealings he had in Palmdale. Historically most county projects have occurred in Lancaster. Shepos was often involved. I will ask you again. Do you know of any Shepos dealings in Palmdale? 2323 E. Palmdale Blvd. Yes, Shepos allegedly involved with Visco based on reliable source. Doing the right thing; making ethical decisions seems to be a big problem in the Antelope Valley. At least if most of the politicians in Palmdale and Lancaster are corrupt then the people can vote them out, and maybe they will be held accountable. Thomas Shepos used his power to take bribes, file false tax returns to cover up his dirty deeds, and lie about what he was doing. He hurt a lot of people that turned in bids, and weren’t even considered. Corruption is woven into the fabric of this society. Most people have more harmful things to say about the homeless, when it is the one’s wearing the thousand dollar suits that are destroying this nation. Yes, the suits in Lancaster are very corrupt. Shepos, Parris, Gilley, and Visco for starters. Inside tips, no bid contracts, paybacks, special treatment, etc. A hungry journalist would have a field day. Did Shepos have deals in Palmdale? If so, please do share Alexis. I have not been able to find any. There are plenty of deals in Lancaster with the political machine. Does make you wonder how the big “county complex” ended up in Lancaster when Palmdale is actually more central in the area served, doesn’t it? I wonder who got the big profits from that development. Bingo Tim Scott. There are few if any county buildings in Palmdale, but many in Lancaster. The ones in Lancaster overwhelmingly have the fingerprints on Shepos, Visco, and Gilley, with Parris notfar removed. The courthouse, all those county offices near the BLVD, and others. Nothing to see here people. Move along. The politicians in Palmdale and Lancaster that you both are so unhappy with are elected officials. None of us knows the extent of any of the nefarious goings on in either city. But you will continue to complain year after year. You keep singling out Lancaster, when you know that plenty of corruption is going on in Palmdale also. Thomas Shepos lives in Palmdale, and Palmdale wasn’t immune to his dirty dealings either. Remove the scales from your eyes. Rex Parris doesn’t make people corrupt, they make their own choices to corrupt themselves. Thomas Shepos is the guilty party in this article, and all that he has done. You two are making yourselves sick with your Rex Parris obsession. I have no idea, JPB, what dealings Shepos has had either in Palmdale or Lancaster, and neither do you or Tim. You can wonder all you want. Do something instead of constantly complaing about Parris, Gilley, Visco, Hofbauer, Knight, Crist, Bishop, Carrillo, and on, and on. Oh, and now you have another Palmdale resident you can add to the list. You must be drained at the end of the day. Tim, the County Courthouse sits right next to Palmdale city limits, so your issue of Palmdale being more centrally located is a non issue. Also people employed at the Courthouse live in Palmdale, Lancaster, and surrounding areas. Palmdale and Lancaster are in Los Angeles County. Life goes on JPB and Tim. I was referring to the county complex at K-8 and division, where pretty much all the county services in the AV are located. It is a huge chunk of the big business park development there…and I’d be interested in knowing who the big money making property owners behind that were. Tim, type slow so Alexis can comprehend what you are trying to say. She cannot seem to grasp what I say. I will dig around to see if I can locate the documents on the property you are talking about. Shepos has been intimately involved in Lancaster. Not so much in Palmdale. Yep, I’m wondering if the developer of the Palmdale Mall bribed Shepos. Could very well be, Tim and JPB. According to you most of the politicians in Palmdale are corrupt, and lining their pockets. I don’t trash talk the politicians, you do constantly, with nothing to back it up. Do you feel like Sisyphus pushing a rock up a hill only to have it roll back down again and again and again when trying to communicate with Alexis? Just agree with her. She loves that. Plus, it gives her nothing to argue with you about. She hates that. Yes, I do, William. Yes I do. I will heed your advice and avoid disagreeing with her. We can give it a try and see what happens. It might cut her post/replies in half. William,I don’t have the heart to elk her that Shepos worked for LA County and that the AVMall deal did not involve the county. But he was involved in the county projects in Lancaster, several of which invoked the unholy trinity. Thank you for pointing out a word I misspelled, JPB. As I said in my other comment to you, we have all misspelled words from time to time. Also, rather than continuing to argue, you should do your homework, because Shepos accepted bribes from the Lowe’s land developer which is not a county building. He had dealing in real estate other than county buildings. @William…I always consider it a compliment when you get involved in trying to mock me. I know it is ingrained in you to make feeble attempts at bullying anyone, “and there are many over the years,” that don’t think like you. You even steal screen names that offend your delicate ego, to issue apologies to yourself when you can’t stand what they have to say anymore. Remember Moll Flanders? You took her screen name because you were gnashing your teeth over her posts, saying “I’m sorry William, for my comments.” That is how far you are willing to go to defend your insecurities. Shepos recently moved to Palmdale, late 2017. Prior to that a few years in Westwood, before that Santa Monica for 17 years, prior to that Las Vegas/Anaheim and was raised in Harrisburg, PA. Shepos married 3 times, for a short period of time Shepos allegedly married to two women, bigamy. You should read his divorce papers from his 3rd wife. Eye opening. Will Shepos spill the beans on the Fern Street Mafia for a plea bargain? 11.2% ? – wow, I thought it would be lower. I guess because its easy to voice an opinion about politics online and when speaking, but to VOTE requires us lazy and pampered Americans to DO something.. get off the couch, drive somewhere, etc…. I didn’t vote.. I have a strong opinion about politics, but I was busy that day, maybe too drunk, too hungover, too walking to the liquor store.. too something.. and at the time that “something” was more important then voting was. Thank you, JPB, but you don’t have to type slow so I can comprehend. Tim didn’t originally refer to the buildings on K-8, so he could have been talking about the County Courthouse. Apparently you don’t comprehend much either so you see, we do have something in common, LOL. Corruption is definitely going on as much in Palmdale as in Lancaster, but you can’t get your mind off Parris long enough to see what’s going on. By the way, I am just fine, JPB, so don’t be concerned about my comprehension, just worry about yours. You’re a bully and I am not bothered by you. Keep on complaining, which will amount to nothing. Alexis, please do provide examples of Shepos and dealings with the good old boy network in Palmdale. That is the topic of this discussion which you continue to be unable to comprehend. You also do not comprehend the definition of a bully. My pointing out your lack of comprehension is not bullying. It is stating truth based on your responses. Stick to Shepos and his dealings. Again, Alexis, do you know of any dealings Shepos had with the County and Palmdale? Focus, Alexis. Focus. Actually Alexis the center around K-8 and division is normally referred to as “the county complex” while the courthouse is normally referred to as…well…”the courthouse.” Notice though that I didn’t pick on you for not knowing that, I just explained what I meant. That said, if you are going to say “corruption is going on as much in Palmdale as Lancaster” it isn’t unreasonable to ask that you back that up. Palmdale for a long time has had a very good, very efficient city government. That was, in my opinion, a result of keeping a solid majority of the city council behind Mayor Ledford, and isolating Hofbauer in the minority. That could be radically changed in November and Palmdale could go down the same drain that has swallowed Lancaster. To make a “just the same” comparison between that and Lancaster, which is competing for the most corrupt city government in California, is just wrong…at least for now. We’ll see what happens in November. Let me clear this up for you per your comment about the “county complex.” you were wondering whether Shepos had anything to do with that deal, because it is county. Well the Los Angeles County Superior Court is also county and maybe Shepos had something to do with that too. Now you are minimizing all the trash talk you so readily comment on, when it comes to Hofbauer, Bishop, Carillo, Knight, and more. Now you’re just squeaking in Hofbauer in your last comment. Both of you think Palmdale is corrupt with only Ledford as the honest one. So I wonder if Shepos had anything going on in Palmdale. You and several others make it a point to let every one know how paranoid you are that Palmdale is experiencing a coup. because the only one left that isn’t lining his pocket ,is Ledford. I think Shepos had plenty of dirty deals going on in Palmdale, also. But then maybe not, Tim and JPB. You’re always asking me to back up what I say, but you never back up what you say, so we all have opinions with NO facts. None of your comments are backed up with facts, because they are opinions. So Alexis ‘thinks’ Shepos had dirty deals in Palmdale. Ok. Please name a Shepos deal in Palmdale. Many people ‘think’ things that are not true. There is one individual who ‘thinks’ bird sounds reduce crime, an African American Veteran running for office was a ‘gang’ candidate, spending $90,000 a month on an ‘Eye in the Sky’ makes us safer, and many other things that are factually untrue. I would like to believe what you ‘think’ but it would’ve helpful if you would name a project, as Tim Scott has. JPB…Maybe Shepos accepted bribes from Lowes in Palmdale, because he did for Alhambra. Maybe Shepos accepted bribes from Palmdale Mall construction, because he did with other malls. I’m thinking the Palmdale Mall was before his time, but I could be wrong. Thankful he was caught, and Gabaee. Lowe’s is not a county facility. Anyone that reads the A.V. Times or any other source including myself, knows Shepos was involved with the county facilities in Lancaster. It is the deals that he and Arman worked on and lied about that got them busted. This Lancaster is more corrupt than Palmdale talk is juvenile, and solves nothing. Then when you really want to go in for the kill, you point out misspelled words or improper grammar. Come on guys. Come on you two, I was being facetious when I mentioned the A.V. Mall. Although Lowe’s is not a county facility, so I wonder if he had anything to do with the A.V. Mall. You both know Lowe’s is not a county facility, right. Oh no, maybe Hofbauer, Bishop, Carrillo, Kathy “job Killer” McClaren, Steve Knight, etc. were involved in lining their pockets too, along with Shepos! Remember, there is a coup going, on so get ready. Alexis, I’m not trying to be mean here, but you need to get your facts straight. Shepos got busted for taking bribes from a developer who was trying to get a county facility in a mall he was redeveloping. That developer is best known as the developer who tried to build a Lowe’s on Fremont Street, because that attempted development got A LOT of press. Shepos had nothing to do with said Lowe’s development, which was in the city of Alhambra, not the county. The developer only paid off Shepos on deals where Shepos could do something for him, not on every deal he tried to make. Just because a developer who paid off Shepos on a deal he was trying to make with the county ALSO at some point tried to build a Lowe’s, that doesn’t mean that every Lowe’s, ever, was built by the same developer, or that everyone who builds a Lowe’s is paying Shepos no matter where they are trying to build a Lowe’s. Now, with that clarified…there is very little in the way of county investment in Palmdale, so it doesn’t seem like Shepos had much opportunity for corruption here. But if you can point out some suspicious county buildings I’d be happy to look into who owned the land and we can speculate about whether they paid Shepos to get the county to buy their land, perhaps inflating the value. We can look into who the contractors were and we can speculate as to whether they got the contracts through a fair bid or through a kickback. The only county buildings I can think of are the sheriff and fire department stations, and animal shelter. Maybe I’ll check into those. But I think it would be more productive to look at Lancaster, which DOES have a lot of county buildings, and has a trio of property wheeler dealers who have routinely defrauded every other government agency they have been able to get their hooks into. You’re wasting your time here, Alexis. These guys don’t understand that The Charles Company (owned by Arman and his brother), and Shepos, and a few Mayor’s, and a lot of other people, were involved in storage distribution facilities, restaurants, apparel companies, and much more in Los Angeles County. Not just county facilities. Shepos was a county employee that went way beyond county facilities. Don’t waste your time, it won’t sink in. I see WST suffers from the same lack of ability to focus on the point made. Focus, WST. Focus. Shepos. County. Lancaster. I am not talking about any deals he may or may not have had with any other city, company, county, or mayor. Shepos had several county deals in Lancaster. That is a fact. Were there bribes or corruption in those deals? I do not know. I do know if the unholy trinity was involved it was not in the best interests of Lancaster residents. It was in their best interests. @JPB…We have all misspelled a word or two from time to time. Thank you for the correction. You’re a jerk, JPB. Thomas Shepos also took bribes that had to do with stores, malls, and other developments that were not county buildings. Jackie M., I may be a jerk, but I am 100 percent correct that Shepos worked for the county and he did county dealings with Lancaster. Jackie…whether you want to call JPB a jerk or not is up to you, but Shepos had access to sources of bribes in two ways. He got bribes from city officials/property owners who wanted county facilities in their cities on their land and from contractors who wanted to work on those projects, because he had control over construction. He also got bribes from developers who were building in unincorporated areas of the county where he could streamline the process. He didn’t have anything to offer to a developer that was building inside city limits, such as the developer who built the AV Mall. Yes the suits in Palmdale are also corrupt according to the same people that comment year after year. Vote them out! You guys have been complaining about your politicians since 2011, and probably before, yet most people stay home or have other things to do besides voting. VOTE, instead of complaining, complaining, complaining. But, then, if you voted them out what would there be to complain about, right? Remember, 11.2% is completely unacceptable. Rex Parris is Lancaster’s mayor (four terms) because of apathy, and that goes for the rest of them also. Every time there is an article, the same people throw in the same names as if it does any good at all. Don’t you get tired of not seeing any results? Shepos and Gabbae finally got caught, and that’s a good thing. VOTE! Shepos was involved with several county deals in Lancaster. Maybe he will spill the beans and the unholy trinity of Parris, Gilley, and Visco will finally be exposed. Not likely with Rex owning judges, the DA’s office, businesses, churches, and the paper. Instead of being thankful for all the benefits in his life, he decided he needed more. Hard to find anyone truly honest anymore. They give off the illusion of honesty until something comes along worth stealing, they they justify it in their head somehow. When the people who run Lancaster are involved honesty might not be enough. There’s always a stick with that carrot, and if you turn down their bribes they might well set out to destroy you. Not excusing this guy, by any means, but sometimes there’s more challenge in doing the right thing than just moral character. For once I agree with Tim Scott. I think its hard to judge someone in politics unless you have walked in those shoes yourself. But it could just be human greed. Perhaps Alexis is right, people are never happy with what they have.